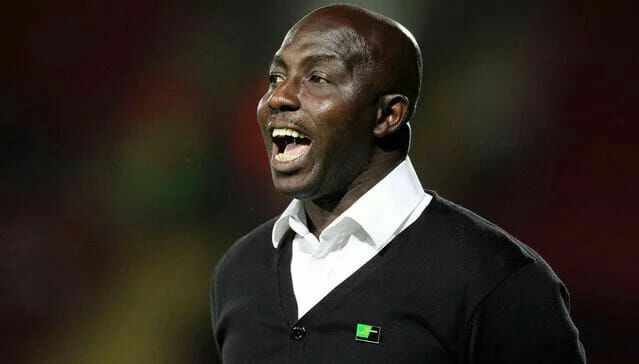 Former Nigeria’s U-23 team coach, Samson Siasia has disclosed that the $200,000 cheque been giving to the team for their success at the Rio Olympic Games Men’s Football still remains in his custody. Siasia who was a guest alongside the Sports Minister, Bar. Solomon Dalung and President of Nigeria Football Federation, Amaju Pinnick in a Tuesday’s night live television programme on Nigeria Television Authority (NTA), revealed that they are yet to share the cheques been donated to them by a Japanese Surgeon after the team defeated Honduras 3-2 in the third place match in Rio. There have been reports in the media that the cheques have created an unfriendly relationship between Siasia and the NFF as a result of their insistence not to release the money to the appropriate body.It will be recalled that the Japanese Surgeon donated a cheque of $390,000 to the team, of which $200,000 was handed to Siasia while $190,000 was giving to Mikel Obi. “The cheque of $200,000 is with me and the $190,000 is with Mikel Obi,” declares Siasia. “Let us let the world know that the money is not ours and it is supposed to be shared amongst everyone. So they shouldn’t think the money is in my house because I am not with it.” Siasia revealed.